Arthur signed for Macclesfield in October 1938 going straight into the side and was almost ever present for the remainder of the season. He was the season's top-scorer with 12 goals in a low scoring season, scoring two goals in the home match against Altrincham and in both the home and away fixtures against Hurst. Also played wartime football at Accrington Stanley and Altrincham. A reserve team player who was used as back-up mainly in October and November 1977. Previously played for Hyde United, he deputised for two matches when the regular 'keeper, F Mace, was ill. Unfortunately he conceded ten goals in his two matches, however in his defence, these appearances came in the middle of a sequence of twelve matches when the Silkmen failed to earn a single win. Previously with Bollington Athletic, he was a member of the Macclesfield reserve team who made one senior appearance when Thomas Thornley was unavailable. There is no information recorded for this player. John played for Bangor and Northwich before signing for the Silkmen during the 1976-77 season. He was a versatile player who could play up front or in defence. On leaving Macclesfield he moved to Hyde United. Mark played for Swindon Town, Torquay United and Crewe Alexandra before spending the summer of 1995 with Norwegian side Fredrikstad and then returned to England to sign for Macclesfield Town. Mark had a very successful time with the Silkmen earning English semi-pro honours, named in the Conference Team of the Year, gained a FA Trophy winners' medal in 1996 and was a member of the Conference championship side in 1996-97 which gained promotion to the Football League. A useful midfielder by trade, Mark also played at left-back, but during the Silkmen’s first season in the Football League he sustained a number of niggling injuries and made a decision to return to non-League football joining Northwich Victoria in December 1997. Mark signed for Leek Town in October 2000 but within a month the current manager was sacked and Mark took over as manager but his stay only lasted until January 2001 when he left at a time when he had been told to cut his wage bill. Almost immediately he joined Nantwich Town as a player. Played for TC Exiles in 2006 after which he retired from playing. Having retired from football he now lives in Cirencester and still works for the Royal Mail. Made six appearances for the Lancashire Combination team at the end of the 1911-12 season which must have proved successful as he was signed for the Macclesfield reserve team for the 1912-13 when he also made a handful of appearances for the senior side. Together with two other local players given a one match end-of-season trial in the away match at Northwich. There is no information recorded about this player. Signed by Macclesfield in the summer of 1928 he was ever-present in the side until the end of October 1928 when he was injured, however, he recovered to feature in three matches at the end of November and the beginning of December but was injured for a second time. He was reinstated for two matches in March but missed the whole of the 1929-30 season recovering from injury. Nevertheless he was a big favourite of the supporters, a good distributor of the ball and good at taking free-kicks. He returned at the start of the 1930-31 season for two matches scoring in the first match of the season but was transferred to Hurst in October 1930. A native of Bollington initially played for Bollington United and Bollington St John's, Gaskell moved to Macclesfield in November 1911 from Bolton Wanderers where he had made 107 senior appearances and scored two goals from 1904-05 to 1909-10 playing at right half. Described as a cool player who was a precise tackler filling either the right-half or centre-back positions. He had a difficult start at Macclesfield as he was injured on his debut and, on his return at the end of December 1911, he was injured again. Gaskell left Macclesfield to take up a coaching role with a Moscow club returning to the side on 8 March 1913. His one goal came in his third match after his return in the 2-2 home draw against Hurst in March 1913 when he incurred another injury. He made four appearances in November 1913 but then it was reported that he had left Macclesfield to join an unnamed Football League club. Died on 1 September 1944. At the time of his death he was the proprietor of two hairdressing businesses in Rochdale. A long serving and rock solid full-back who first played for Macclesfield in the 1884-85 season in their pre-league days. In the 1890-91 season Gaskell was the subject of a suspension. In September 1890 he should have made an appearance for Stockport County but featured for Macclesfield in match against Leek. However, Gaskell was registered with the English FA as a Stockport County Player, and the committee held the FA's receipt to this effect. Macclesfield pleaded that Gaskell had been playing with them for seven years, and by some way or other had been induced to sign for County. He was perfectly in his senses when he signed and was very willing. Following a Football Association meeting in Chancery Lane at the end of September 1890, Macclesfield were censured for violation of the rules in playing Gaskell against Leek, knowing him to be a professional for another club, Stockport County. (He also played for Macclesfield in a match against Northwich Victoria on 27 September 1890). Gaskell was suspended until 1 January 1891. Subsequently the Cheshire County Committee were annoyed at a claim in the media that they had objected to Macclesfield paying George Gaskell three shillings to act as groundsman and go on to state that there is no truth in the statement. John Earles in his book refers to this incident but whether it is fact or not is unknown. Gaskell had played for County from 7 September to 14 September 1889, 4 January to 18 January 1890 and featured again after his suspension from 3 January to 25 April 1891. He then returned to Macclesfield for the 1891-92 season before returning to Stockport playing from 3 September 1892 to 14 April 1894. Returned again to Macclesfield for the 1894-95 and 1895-96 seasons before moving to Oldham County for the 1896-97 season. Held a winners' medal for Macclesfield for the Cheshire Senior Cup for 1889-90 (the first occasion Macclesfield won the Cup) and 1895-96. Signed for Macclesfield in the summer of 1912 featuring in early season matches for both the senior and reserve teams. Left Macclesfield in January 1913 to join Rossendale United moving to Newton Heath Athletic in August 1913. There is no information recorded about this player. Only one appearance has been identified when Gay featured in the match at Buxton on 16 February 1901, but with information missing it is possible that he made additional appearances. Geoff was an apprentice at Bolton Wanderers before signing professional forms in June 1975. He spent time on loan at Exeter City and signed for Southport in the summer of 1977, but when they fell out of the League Geoff moved to Wigan Athletic (who had replaced Southport in the Football league) making his one and only appearance for them in their first ever home Football League game, signing for Macclesfield in 1978. Joined Macclesfield for a second time after a short time with Bangor City and Crewe Alexandra. He was a very skilful and exciting ball player. Geoff’s debut for the club came in a match abandoned through floodlight failure but in his next match he scored two goals in the 3-2 home win against South Liverpool. In his time at the club, he featured most regularly in 1979-80 scoring four goals in 40 appearances, but in December 1982 he sustained a broken leg in the home match against Witton Albion. He later played for Mossley, Droylsden and Chorley before returning for the 1985-86 season to Macclesfield, re-signing for Mossley in the summer of 1986 and moving to Horwich RMI in October 1986. Away from football, Geoff was a civil servant working for the Employment Department. Started out with Norman Athletic and then Hurst before signing for Bolton Wanderers (August 1916) going on loan to Manchester City (December 1916). At Macclesfield he was given a one match trial and even though he scored the goal in the 1-1 draw, like so many other players during the 1919-20 season, he was not given a contract. Returned to Hurst in December 1919 and then played for Stalybridge Celtic (May 1921) and Chorley (August 1922). A former Congleton goalkeeper, deputised for the regular Macclesfield 'keeper Stanley Starling on one occasion in the 2-1 win against Sandbach Ramblers. Before signing for Macclesfield Danny had played for Witton Albion, Barnton and Caernarfon Town. Whilst most of Danny’s appearances were in minor cup competitions, including gaining a winners' medal in the Staffordshire Senior Cup in 1996 when he was introduced from the substitutes' bench, his one appearance in the Vauxhall Conference came in the historic Championship winning match at Kettering Town on 3 May 1997, when he was a second half replacement for Mark Bradshaw. He went on to play for Winsford United, Barnton and returned to Witton Albion. Away from football, Danny joined the Police Force. A former Sheffield schoolboys’ captain, Dave spent his youth career at Sheffield Wednesday before signing for Halifax Town where he spent five seasons (1990-1995) making 106 appearances and scored six goals. Whilst there he gained Yorkshire and Humberside County Cup Winners’ medals in 1990 and 1993. Signed for Macclesfield in the summer of 1995 with all his appearances coming early in the season at a time when he had strong competition from Stuart Locke and Cec Edey. Whilst at Macclesfield he spent a short time on loan at Ashton United in 1996 (one appearance, one goal). On leaving Macclesfield he played for Winsford United (1996-99), Leigh RMI (1999-2002), Stalybridge Celtic (2002-2005 - 121 appearances, 2 goals), Ashton United (2005-06 - 11 appearances, one goal), Hyde United (2006-07 - 55 appearances, one goal), Curzon Ashton (2007 but no senior appearances), Chorley (2007-08 - 45 appearances, three goals), ending his career at FC Halifax Town in 2008. Also played for the Fire Brigade team. One of many players given a trial in Macclesfield's first season after the Second World War. Nothing is know about this player other than he replaced Peter Hall in the 80th minute at Goole. At Bolton Wanderers from 2012 to 2014, initially with the Under 18 team and then their Under 21 Development team which he captained. Signed for Macclesfield in the summer of 2014 but his appearances were limited to the Cheshire Senior Cup competition, gaining a winners' medal in the final. Whilst with Macclesfield spent time with Stockport Sports FC, Witton Albion and Mossley on non-contract forms. Also had a trial with FC United of Manchester in October 2014. On leaving Macclesfield at the end of the 2014-15 season underwent a trial with Barrow before signing for New Mills in August 2015 and, under the dual registration scheme, also signed for AFC Fylde in September 2015. Then played for Ramsbottom United (October 2015), Colwyn Bay (January 2016) and Chadderton (October 2016). Underwent a trial with Stalybridge Celtic in July 2017 but does not appear to have signed for them. Away from football in 2015-16 he was a distributor for Organo and a personal trainer for PureGym, and since August 2016 has been a trainer for JDGyms. Commenced his career at Glossop in November 1926, moving to Leeds United Reserves, Blackpool (May 1928) and Southend (May 1930). Signed on a free transfer in the summer of 1931 he played in every match until the middle of October 1931 when he retired from playing football to take up a full time position in the Manchester Fire Brigade. Signed from Altrincham, Gilfillan was ever-present from his debut to the end of the 1913-14 season. He scored on his debut in the 1-2 loss with four of his goals coming from the penalty spot. Only appeared in the opening two matches of the 1913-14 season with no record of him playing in the reserve team. Previously played for Altrincham but came to the Moss Rose from Goslings when the club folded. 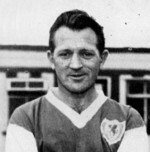 Norman was an attacking left-back who made the position his own when he was almost ever-present until missing the first four months of the 1953-54 season through injury. He did not feature in the following season and in his final season, 1955-56, he shared the position with Roger Wood and Jack Wood. He gained a winners' medal on two consecutive seasons in the Cheshire Senior Cup and was a member of the team which were Cheshire League Champions in 1953. Only featured in this one match. Formerly an amateur player with Liverpool and had played on one occasion on trial at Accrington Stanley. Malcolm was a tall, sturdy 20-year-old geology student when he signed for the Silkmen, initially signing on a month’s trial which was converted to a permanent contract. He was an important player as Macclesfield won the Cheshire League title and were Cheshire League Cup finalists in 1952-53. At the Moss Rose he formed a lethal partnership with Frank Monaghan and Bob McMorran . He created both goals as Macclesfield retained the Cheshire Senior Cup in 1952 and started again when the Silkmen lifted the Trophy for a third time in four years in 1954. He was a prolific scorer, setting the scene when he scored on his debut. He often scored two goals in a match, notched up seven hat-tricks, scored four of the six goals in the home match against Buxton at the start of the 1954-55 season and scored five of the nine goals in the Champions versus Runners-up match against Wellington in April 1953. 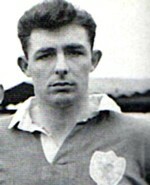 Malcolm was top-scorer in 1953-54 and 1954-55 scoring 35 goals in each season. On leaving the Moss Rose he emigrated to the USA to take up a teaching post and played for the Los Angeles Scottish FA. Held a BA (Hons) degree in Geography obtained at Manchester University. Malcolm died on 26 June 2012 aged 81 after a short illness at his home in Rhode Island, USA. Kevin's career started at Manchester City after which he played for Crewe Alexandra, Hyde United, Burnley, Witton Albion, Mossley, Northwich Victoria (fee £200) before signing for Macclesfield. Kevin’s appearances came at the start of the club’s first season in the Conference but he soon found himself on the substitutes’ bench and then replaced by other players. On leaving the Moss Rose he signed for Hyde United then Chorley (fee £600) returning to Macclesfield on loan for one senior appearance in the 1989-90 season. He then became player/ manager at Radcliffe Borough where he remained for 20 years in the managerial role retiring in 2010 building a reputation for producing young talent amassing over £200,000 in transfer fees. He remained with Radcliffe borough after he had stepped down as manager probably as a director until the start of the 2014-15 season. Since February 2009 has been a director of TNG Events & Promotions Ltd, who supply business supplies and equipment. Lee, a former youth and under-21 Scottish international, commenced his playing career at Nottingham Forest alongside Peter Davenport (see separate entry) after which he played for several Football League clubs including Port Vale (fee £200,000), and Rotherham United (fee £150,000), before becoming Peter Davenport’s first signing at Macclesfield. Lee completed his first two seasons as the Silkmen’s top scorer and, as Macclesfield’s penalty taker, it was appropriate that he scored the decider in the (then) record-breaking penalty shoot-out in the FA Cup first round replay at Forest Green Rovers in 2001, eventually leading to a third round tie with West Ham United providing much needed revenue at a time when the club was stretched financially. He was particularly effective working with his back to goal where he collected the ball, skilfully turned on a sixpence and shot, all in one action. Unable to command a place in the starting line-up in his third year, Lee moved to Mansfield Town in September 2002 and later to Burton Albion and then to Corby Town in December 2002 as player/manager. He left Corby during the 2004-05 season to become manager at Grantham where he remained until September 2006, but lost his appointment there due to a poor run of results and was later appointed assistant manager at King’s Lynn. Later he spent time as Senior Development Coach at Derby County and for the 2015-16 season was appointed Head of Coaching and Professional Development Phase coach in the Academy at Burton Albion, but quickly moved on early in the season to take up the position of coach for the Under 21s at Coventry City. Was appointed assistant manager to Grant McCann at Peterborough in June 2016 leaving them in March 2017. In July 2018 Lee was appointed Opposition Analyst together with assisting with coaching duties of the Development Squad at Doncaster Rovers, again linking up with Grant McCann. Currently (November 2018) listed by Doncaster Rovers FC as assistant manager of their Under 23s squad. A member of the youth set up at Stalybridge Celtic, Arthur progressed to the senior side at Bower Fold making 32 appearances during the 2011-12 season. Out of contract in the summer of 2012 Arthur impressed at the Moss Rose in pre-season matches and as a free agent was signed by the Silkmen in September 2012. There were loan spells at Whitehawk FC and Colwyn Bay and he was an unused substitute on six occasions before he was given three late season appearances from the substitutes' bench. A young useful left-sided midfielder, Arthur scored his first goal for the Silkmen in the 90th minute in the 4-5 defeat at Woking in April 2013. In the 2013-14 season Arthur graduated to the senior side but could not break into the side on a permanent basis with his appearances spread throughout the season. His two goals came in the first round and the semi-final of the Cheshire Senior Cup. Again in the 2014-15 season Arthur found it difficult to break into the team although he scored two excellent goals in September, a splendid solo effort against FC Halifax Town and a well executed strike against Gateshead. Arthur elected to leave the Silkmen at the beginning of January 2015 to try his luck in Spain where he signed for Club de Futbol Gava ( CF Gava) in Catalonia Spain. He returned to England in the summer of 2015 appearing in pre-season matches for Macclesfield Town but did not re-sign. Signed for Kidderminster Harriers in January 2016, moving to Shrewsbury Town in the summer of 2017. In November 2018 signed a loan deal with AFC Fylde until 14 January 2019 after which he signed a permanent contract with Carlisle United in January 2019. Before joining Macclesfield Keith was a junior at Stockport County making his League debut as a 17 year-old at Carlisle in April 1951 but failed to secure a regular first team position. 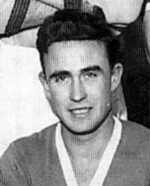 During his time as a player at Macclesfield, Keith was the Silkmen's longest serving player since the Second World War and was awarded the Sportsman of the Year award on two occasions for the seasons 1961-62 and 1965-66. He took over as player/coach when the Silkmen were left without a manager at the start of the 1967-68 season after Albert Leake retired. He led the side to the Cheshire League Championship and promotion to the Northern Premier League, however, he will always be remembered for steering Macclesfield through to the FA Cup third round at Fulham, placing Macclesfield on the national football map. Keith became the first non-League player to be awarded the Footballer of the Month by the London based Evening Standard newspaper. He stepped down as manager because of work commitments as a solicitor in the town. Keith was given a Testimonial Match recognising his long service to the club on 11 May 1968 when Fulham were the opposition. He coached the reserves in the 1968-69 season making a few first team appearances when required. Also an accomplished musician. Before embarking on a football career Verdi was a Bevin Boy during the Second World War, he then enjoyed a career as a Football League player with many clubs. Starting in 1946 he played for Blackburn Rovers, Manchester City (1948), Stoke City (1949), Mansfield Town (1950), Middlesbrough (1951), Grimsby Town (1952), Brentford (1953), Southport (1954), Barrow (1955) and Tranmere Rovers (1956). He signed for Macclesfield in 1958 but made few senior appearances as he was used as back-up for other players. On leaving Macclesfield he signed for New Brighton. On retiring from playing he became a Football League scout for several Lancashire clubs and also the Vancouver Whitecaps football team. In addition, he served as Chief Lifeguard on Southport Beach for 36 years for which he received the British Empire Medal. Well known in many clubs in Southport he would act as compere and also sing. Verdi died on 1 December 2013 at the age of 87. Graduated from the Hornets playing the majority of his matches in the pre-league days, was captain of the side for one season and represented Cheshire at county level. Macclesfield's reserve team left-back at the time. First identified appearance coming in April 1904 but with match information missing immediately before this match it has not been possible to confirm whether this was his only appearance during the 1903-04 season. Appeared again in the away match at Heywood United in February 1905 replacing the regular left-back J Poulson. A former Manchester United trainee, who since being released from Old Trafford has played for Stalybridge Celtic (November 2012 to January 2013) and Greek side AS Thesprotos. On returning from Greece he signed for Salford City in January 2016 although it would appear that he did not make any senior team appearances for them. One of 11 players signed on non-contract terms for Macclesfield Town at the end of October 2016 prior to the Cheshire Senior Cup Preliminary Round match in which he made his only appearance for the club from the substitutes' bench. Released in November 2016. Signed for Droylsden in March 2018. Career path prior to Macclesfield Town obtained from the National League. Commenced his career in the Youth Academy of Real Oviedo in 2000 before moving to the FC Barcelona youth system. Signed for Malaga B in the 2008-09 season, making 59 appearances before moving to Cadiz for the 2010-11 season where he spent a short time before returning to Real Oviedo in 2011. There he played mainly in their B side but made four appearances for the senior team. During the 2013-14 season he was at Caudal in the Spanish Segunda Division B. Signed for Macclesfield in August 2014 after a successful pre-season trial. Featured in the centre of midfield but was unable to force himself into the side on a regular basis faced with stiff competition especially from Paul Turnbull and Danny Whitaker. When David appeared in the starting line-up, he only played the full 90 minutes in four matches. His last match for the Silkmen was on 1 November 2014 and he was released in December 2014 when he returned home to Spain. He re-signed for Caudel before joining Club Marino de Luanco in the Spanish Tercera (fourth) Division. Whilst on the books of Macclesfield FC from 1880, it was only in the 1883-84 season when he first featured as a regular member of the senior side in the club's pre-league days. Represented Cheshire at County level in October 1883. There is no information recorded for this player. His first known appearances came in the the Cheshire Senior Cup competition when when he scored one of the three goals in the first round replay but still finished on the losing side. Four further appearances were made at the end of the season scoring the goal in the 1-1 draw at Buxton. There is no information recorded about this player who made one senior appearance in the final match of the 1921-22 season. A member of the reserve side. Dave was signed by manager Albert Leake for Macclesfield from Northwich Victoria having previously played for Altrincham. A fast winger who specialised in pin-point crosses, he was a member of the team which reached the third round of the FA Cup in January 1968 against Fulham. Unfortunately just before this match he lost his job and was unable to find suitable alternative employment but a friend gave him the opportunity of a position in South Africa and having played his last game for Macclesfield on 16 March 1968, he emigrated to South Africa. An experienced Football League player at Stoke City (1973-77) and whilst there spent time on loan at Miami Toros in the USA (1973) and Workington (1976-77), then moved to Mansfield Town (1977-80), Bury (1980-81), Rochdale (1981-82) and Crewe Alexandra (1982-83). Dave moved into Non-League football when he signed for Macclesfield Town in 1983. He was one of the two goal scorers when Macclesfield won the Cheshire Senior Cup in 1983. Dave signed for a second time in October 1985 after a short spell with Witton Albion ending his career at the end of the 1985-86 season. There is no information recorded for this player but is probably related to the other Goodwins featuring for Macclesfield in the Manchester & District League. Commenced his footballing career at Wolverhampton Wanderers in 1961 making 45 senior appearances before moving to Stockport County in 1965 where he made 176 Football League appearances and scored 20 goals. His next stop was Blackburn Rovers (1970), then Southport (1971) and Port Vale (1972). Fred signed for Macclesfield from Port Vale in the summer of 1973 to bring experience and stability to the team. On leaving Macclesfield he returned to Stockport in the Football League for the 1974-75 season. He then played for Cheshire League sides New Mills, Ashton United and Stalybridge Celtic before moving to New Zealand joining side Lower Hutt side Stop Out. After retiring from playing, Fred became the assistant coach of New Zealand then Papatoetoe before becoming the coach of Hutt Valley United. He later emigrated to France. Fred Started his career at Burnley joining them in November 1906 where he only made one senior appearance. He then joined Leek (5th Cheshire Volunteers) before moving to Congleton Town. Macclesfield signed him from Congleton in the summer of 1907 going straight into the side missing only one league match in his first season with the club. He was described as a robust, clever forward who was a fast runner and a skilful dribbler of the ball. He featured for Congleton Town at the start of the 1908-09 season returning to Macclesfield in February 1909 helping the team win the Manchester League Championship, however, he only made two mid-season appearances in his last season at the Moss Rose, re-joining Congleton Town in April 1910. He re-joined Leek in July 1910 and then signed for Brighton (May 1911) and West Ham United (April 1913) before moving to Exeter City in December 1913. Whilst at Exeter he was chosen by the Football Association to take part in a tour to South America in 1914. The team toured Argentina as a 'typical' team and on the return journey stopped off in Rio to play three matches against what is now considered to the first national team. In the First World War he joined the 17th Service Battalion of the Middlesex Regiment, known as the Football Battalion because it was made up primarily of professional footballers. Fred was injured during fighting and never played again. Died of war wounds in 1945. Signed from Crewe in February 1903 it would appear that he could not establish himself in the senior side making few appearances during his time with Macclesfield. Moved to the forward line for two matches in the 1904-05 season. If newspaper reports are correct another player by the name of Goodwin making just three appearances late in the 1904-05 season. If newspaper reports are correct another player by the name of Goodwin who appeared in the first three matches of the 1904-05 season. Neil was signed from Stafford Rangers. He was a skilful ball player, good in the air with the ability to score goals. He was top scorer with 19 goals in the 1977-78 season including a hat-trick in the 3-0 home win against Buxton in September 1977. He joined Leek for a two month spell before returning to Macclesfield and then went to New Zealand for a summer season in 1979. Born in Edinburgh he started his football career at Leith Athletic before joining Hibernian in 1948, although he never made a senior appearance for them, and signed for Third Lanark in 1949. Moved south of the Border in 1950 when he signed for Bury where he made 114 Football League appearances and then played for Buxton. Signed for Macclesfield in the summer of 1959 featuring in the opening matches of the season after which he was replaced by Gordon Cuddeford. Leaving Macclesfield he played for Mossley (1959-61) and then Buxton (1961-63). His son was also a professional football goalkeeper, capped 43 times for Scotland and played 184 league matches for Rangers. Played for Stockport County for several seasons but was signed from Fleetwood as a half-back and made the transition to centre-forward. Bill was top scorer in 1959-60 season with 37 goals in all competitions, including hat-tricks against Ellesmere Port Town, Tranmere Rovers and in the Cheshire Senior Cup semi-final against Altrincham. He scored the winning goal in the Cheshire Senior Cup final against Hyde United. Initially with Manchester City from 2002-03, Jonny then spent from 2003 to 2009 at Manchester United before joining the Wolverhampton Wanderers Academy in 2009. He signed his first professional contract with Wolves in March 2011 making his club debut in March 2012 as a substitute in the match against Norwich City. In August 2012 he spent a short time on loan at Plymouth Argyle and signed for Macclesfield on loan at the end of January 2013. Replaced John Paul Kissock in the 78th minute at Tamworth and was an unused substitute on two other occasions returning to Wolverhampton Wanderers at the end of February after which he went on loan to Cambridge United. Signed for Leyton Orient in the summer of 2013, then Southport in August 2014, Barrow in October 2014, and AFC Telford United in the summer of 2015 spending time on loan at Colwyn Bay in 2016. Signed for Curzon Ashton in the summer of 2016 where he is known as 'Rory', spending time at Ashton United In December 2016 on dual registration and Atherton Collieries, also on dual registration, in February 2017 rejoining Curzon Ashton at the end of the 2016-17 season but linked up again with Atherton Collieries at the beginning of the 2017-18 season. However, signed for Northwich Victoria in October 2017 leaving them in September 2018 when he signed for SFL South side Frome Town. He has represented Northern Ireland at every level from Under 16 to Under 21 and made nine appearances for the senior side. Only playing occasionally from 1891-92 to 1896-97, it is possible that Gosling was a member of the Macclesfield reserve team although he appeared for Dresden United in December 1984 which could well have been a trial. With Macclesfield FC failing financially in 1897, Local side Hallefield moved to the Moss Rose for the 1897-98 season. Gosling was a regular member of the Stockport and District League side filling various forward positions, with the team going on to claim the Championship having remained unbeaten throughout the season. Gosling played his part again generally filling the inside-left position when Hallefield moved to the North Staffordshire and District League for the 1898-99 and 1899-1900. Macclesfield FC reformed for the 1900-01 season with Gosling remaining to play in the Manchester and District League, again as a forward. Whilst he was not a prolific scorer, each season from 1897-98 he scored a number of goals including a hat-trick in the 7-2 away win against Broadheath on 11 October 1902. A local player who represented Davenport whilst in the Army. David's appearances were spread evenly over his three years at the Moss Rose when he was used as a 'back-up' full-back at senior level whilst, at the same time, he was a member of the reserve team. On leaving Macclesfield played for Mossley during the 1949-50 season and then moved to Buxton. Prior to joining Macclesfield had played for Sandbach Ramblers and Witton Albion. His chance in the senior side came, initially, when other players were injured. From the end of October 1935 to the end of January 1936 he was almost ever-present, but from then until the end of the season he shared the left-half position with George Rigby and Jesse Thornley. Signed from Tredegar but there is no no further information recorded about this player whose one appearance came in the last match of the 1910-11 season when he was probably being given a trial. An amateur player who was performing well in the reserve side given a short spell in the senior side, initially when the side was depleted due to illness and other players were unable to obtain time off work. From Chorley, he was one of many players given a short trial during the 1911-12 season. Both his appearances came in January 1912. His single senior appearance came in the final match of the 1908-09 season in the forward line when Taylor was unavailable having broken his cheekbone, Gouldthorpe having played previously in defence for the Macclesfield reserve team. Described in the local newspaper as 'a new signing', but as he only made one appearance it would appear that he was probably given a one match trial. Don, signed from Cheshire League club New Mills, was a strong tackling player who could fill a number of positions. Before moving to Macclesfield had also played for Hyde United and Ashton United. On leaving the Moss Rose played for Winsford United, Hyde United (again), Bury (fee £200), Barrow, Witton Albion and Oldham Town. John was only 16 years of age when he signed for Macclesfield having gained a County Cap for Northumberland. Switching between the two positions, John appeared fairly regularly from the beginning of the season to the end of December. All his goals came in matches when the Silkmen won by a good margin. He also featured in the reserve side. His contract was cancelled by mutual agreement in January 1937 when he returned to live in Newcastle-on-Tyne. An 18 year old signed on amateur forms from Tyldesley United who deputised for John Lyons when he was rested between Challenge Cup semi-final and final ties. His career commenced in the youth set up at South Elmsall, signing his first professional contract at Wrexham in October 1950 where he made just five appearances before moving to Sheffield United in July 1953 for a fee of £2,500 featuring in 88 league appearances and scoring 26 goals before signing for Sunderland for a fee of £7,000. There he made 120 league appearances in three years before transferring to Leeds United in 1960 for a fee of £15,000 where he scored five goals in 33 league games. Never really making his mark at Elland Road he was sold to Port Vale for £6,000 in October 1961 scoring on his debut. Unfortunately he started to be plagued by injury early in 1962 and by August 1963 he had lost his place and moved to Doncaster Rovers in August 1964 coming to the Moss Rose for the 1966-67 season. 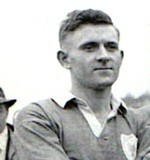 Colin earned seven England caps scoring three goals. His first cap came in 1956 in a friendly with Brazil when he scored in the opening minutes with his first touch and went on to head home England’s fourth goal in the 83rd minute. During his career he was known as ‘the singing winger’ due to his vocal talent performing in clubs and pubs. He also became a recording artist with HMV. Salford born, Alex began his career at Joondalup Soccer Club in Western Australia but returned to the UK to join Portsmouth at the age of 16. He never made a senior appearance there but spent time on loan at Havant and Waterlooville and Eastleigh. When he was released by Portsmouth he signed for Stoke City and has been a regular in their under 21 side. Signed for Macclesfield on loan from the Stoke City Academy in August 2014 until the end of the year which was then extended to the end of the season. Alex faced significant competition for a place in the back four at the start of the season with more experienced players available, but after Luke Waterfall had been recalled to Scunthorpe and Liam Hogan returned to Fleetwood following an injury, Alex became a regular in the side initially at centre back, and when Scott Barrow was out of contention due to injury he ably replaced him at left back making good use of his long throws. His two goals came in the 2-0 win at Kidderminster in January 2015 and in the 1-0 win at Braintree Town at the beginning of March 2015. Alex was released by Stoke City at the end of the 2014-15 season and returned to Australia in June 2015 to join A-League side Perth Glory. A member of the team in the club’s first year in the Conference, most of his appearances came in the first half of the season after which he dropped to the substitutes’ bench. He only made a few senior appearances in his second year with the club. David is a former Sheffield Wednesday left-back who also played for Oxford United, Chesterfield (on loan), Cardiff City and Rochdale. On leaving the Silkmen, moved to Boston United. (2005-06) where his goals helped the Shaymen to reach the Conference final play-off in which he scored against his former club Hereford. In the summer of 2006 John joined Aldershot Town where he went on to make over 140 appearances in all competitions scoring 51 goals. In their Conference Championship season in 2007-08 he scored 20 goals in 34 appearances and then featured in the Shots first year as a Football League team. However in the 2009-10 season opportunities were limited and he completed the season on loan at Oxford United. An ankle injury left him sidelined for much of the 2010-11 campaign, but he played for two months at Barrow. John signed on non-contract terms for the Silkmen in August 2011, subsequently his contract was extended to January 2012. For much of his time at the Moss Rose, John was an unused substitute but made five appearances from the Substitutes' bench, however, he was unable to force his way into the side and was released at the end of his contract. Having been without a club since leaving Macclesfield John signed for Droylsden in March 2013. John then retired from playing football to concentrate on his business Inspire Sports Management with his long-term friend Mustafa Mehmood. Whilst at Aldershot in 2007 John made four appearances for the England C team. Initially signed on a month’s loan, which was extended to the end of the 2010-11 season, from Chesterfield where he was a trainee until December 2008 when he signed his first professional contract making 54 appearances for them. Whilst he started his career as a midfielder, Daniel has moved to the right-back position where he passed the ball well and made good use of his long throws. Dan returned to Macclesfield, again on loan, in November 2011 for one month making two appearances in midfield. Dan was released by Chesterfield at the end of the 2011-12 season when he signed for Lincoln City leaving them in the summer of 2014 when he signed for Alfreton Town from where he spent a month on loan at Bradford Park Avenue in January 2015. Appears to have left Alfreton Town after the 2015-16 season. Having played in a pre-season practice match was given a one match trial in the opening match of the season. From Liverpool, Gray played in six early season matches after which the outside-right position was filled by experienced players. Started his football career with Northwood National School and then Hanley Excelsior before signing for Burslem Port Vale (January 1906) and Goldenhill Villa (September 1907). Tommy signed for Stoke in 1908 where he made 13 senior league appearances scoring five goals. He left Stoke for Hanley Swifts in July 1911, after which he played for Merthyr Town (July 1912) in the Southern League before signing for Macclesfield where he was vice-captain to Percy Pickford. At Macclesfield he was a prolific goal scorer and was top goal scorer in both the 1913-14 and 1914-15 season. In his first season he helped the Silkmen achieve promotion from the Second Division to the First Division of the Lancashire Combination. He was highly thought off and always played with skill and vigour. He returned to Macclesfield after the First World War but illness prevented him from playing at the start of the season and he only went onto make two appearances in September and October 1919. Tommy died in 1960 aged 72. There is nothing recorded about this player. From Stoke, Green was signed at the end of December 1925 taking over the right-back position and missing very few matches between then and the end of the season. He replaced Burrows and Vigrass who had shared this position in the first half of the season. His four cup matches all came in the Cheshire senior Cup competition. Described as a cool and capable defender who possessed a strong forceful kick. Only featured in the first two matches of the 1912-13 season. A former Southport, South Liverpool and Morecambe striker who was signed for a fee of £7,000 from Belgium club Binche. In Andy’s first season with the club he scored 10 goals in 37 appearances in all competitions. Francis started his career in the non-League scene, but a £25,000+ move from Ilkeston Town to Peterborough United in March 1998 at the age of 17 launched his football career. After almost 130 appearances for the Posh, Franny moved to Lincoln City in September 2003 where he remained until a move to Boston United in August 2006. He was one of many players to leave Boston at the end of the 2006-07 season and signed a two-year deal with the Silkmen relishing the opportunity to play as an out and out front man, as he had been asked to play wide with the Pilgrims. A regular scorer throughout his career, Franny completed his first season at the Moss Rose as top-scorer with 11 goals, with one of his best performances in the home 3-3 draw against MK Dons when he bagged a brace. A talented striker who plays with pace and enthusiasm and has an eye for goal, but can be utterly frustrating in the application of his talents. Featuring regularly in the first half of the 2008-09 season, he was rarely seen in the second half due to a knee injury and was released in the summer of 2009. Since then he has been on the books of Kettering Town, Oxford United, Brackley Town (including time on loan at Hucknall Town), Eastwood Town, Ilkeston and Spalding United, Corby Town and Basford. Having retired from playing, he embarked on a sports coaching and psychology course at University after which he started a Football Intermediary(Agency) but after two years he decided that this approach was not the right direction for him. He moved to full time teaching while studying for a Law Degree. In addition, he works for BBC Cambridgeshire with their commentary team and coaches kids. More recently (2018) he is at the foundation stage of starting a Social Media Management Company (Wysocial Media Agency) based in Nottingham for athletes and businesses. A member of the Macclesfield Youth Team whose one appearance in the 2012-13 season came when members of the youth team were fielded for the Cheshire Senior Cup tie. Joined the Silkmen from Shrewsbury where he was a member of their youth team, moving from full-back to a defensive midfield role and captained the Macclesfield youth team during the 2012-13 season. Gained his first professional contract with the Silkmen in the summer of 2013, but only made one appearance in the first round of the Cheshire Senior Cup against Vauxhall Motors in November 2013. Spent a month on loan at Market Drayton from 7 November 2013 to December 7 2013. On leaving Macclesfield he signed for Stalybridge Celtic in January 2014 and then Fleetwood Town in the summer of 2014 going on loan to Chester for a month in January 2015 where he made two appearances from the substitutes' bench. Unable to break into the senior side at Fleetwood Josh signed for Market Drayton in the summer of 2015 moving to Sutton Coldfield Town in September 2016 and Stourbridge in February 2017. Returned to Sutton Coldfield Town at the end of January 2018 and then signed for Stafford Rangers, managed by Silkmen legend Steve Burr, in the summer of 2018. Phil was signed from South Liverpool. An old fashioned type centre-half, he was a powerful defender and good in the air. Roy was at Aston Villa where he won two schoolboy caps against France and Belgium, before moving to Wolverhampton Wanderers after which he left the game for four years. On his return he won a FA Vase Winners medal with Tamworth, moved to Atherstone and then Telford United before joining the Silkmen. His goal on the last day of the 1992-93 season gave Macclesfield a 1-0 victory at Wycombe to ensure Conference survival, in front of a crowd of over 5700 who had gathered to celebrate the Chairboys promotion to the Football League. An amateur from St Helens signed just before the match when Bert Swindells was unable to play because of 'flu. Harry Ryan moved to inside-right allowing Greenall to featured at outside-left. Like other players during this season, he only made the one appearance at a time when Macclesfield were giving trials to many players in the club's first season after the Second World War. The reserve team goalkeeper who initially deputised for the first choice 'keeper Yoxall when he had fractured his nose. As the season progressed, he shared the goalkeeping duties equally with Yoxall. Previously with Nelson and recorded as having signed for Macclesfield prior to the start of the 1920-21 season, he made just the one appearance in the opening match of the season. There is no record of him playing for the reserve side. A member of the Macclesfield reserve side brought into the senior side for a single match, being the third player used in this position in four matches just before the signing of William Devlin. An amateur from Poynton brought into the side for this one match at a time when Thomas Thornley was unavailable. Rex was discovered by Manchester City playing in amateur football in the Salford District, and was signed by them as a professional at the age of 19. He remained at City for three seasons, but never made the senior side although he scored many goals for them in their Central League side. After recovering from cartilage trouble, he spent a season with Runcorn before signing for Hyde United where he was a free-scoring forward. He was Frank Bowyer’s first signing and in his first season at the Moss Rose, he scored a total of 34 league goals which included five hat-tricks, capitalising on his speed and powerful shot. On leaving Macclesfield he signed for Altrincham in February 1962 for a 'substantial' fee. He was a driver employed by Manchester Corporation. After this match he gave one's notice to terminate his connection with the club, the reason for which is not specified in reports. The club decided to dispensed with his services with immediate effect. Formerly with Prestwich Heys and Nantwich Town, Brian was considered to be one of the best and most skilful forwards in non-League and was top scorer at Macclesfield in the 1982-83 season with 10 goals. He was signed from Witton Albion for a fee of £500. Later played for Hyde United, Irlam Town (twice), and Curzon Ashton. He was later manager at Flixton and for Trafford Reserves where he also served on the club's Management Committee. Also a member of the NPL XI. Hailing from Manchester, was given an early season two match trail having performed well in a pre-season practice match but was not signed. Ken's football career started with local youth sides, but during the Second World War whilst a member of the Royal Air Force he played for his unit's side. After the war he joined Port Vale, initially as an amateur, signing professional forms in February 1950. He made 179 league appearances for Vale scoring 52 goals. He moved to Mansfield Town in 1958 for a four-figure fee where he made 42 league appearances scoring seven goals. He then played for Stafford Rangers, Wellington Town and Sankeys before a short spell at the Moss Rose. On leaving the Moss Rose he played for Northwich Victoria, Nantwich Town, Wolstanton United and was player/coach at Michelin, player/assistant manager at Parkway and then manager of the Staffordshire FA team. Ken died in August 2008 at the age of 78. A very experienced defender whose football career started at Chester in 1970 where he made 90 league appearances scoring five goals. He signed for Port Vale in 1973 becoming an established member of the senior team making 218 league appearances and scoring 13 goals. In 1981 he moved to Crewe Alexandra where he remained for one season before signing for Stafford Rangers. Signed for Macclesfield as a player for the 1983-84 season and became player/coach in the 1984-85 season and was appointed player/manager in the summer of 1985 following the resignation of Brian Booth because of ill health. In the early part of the season some spectacular results were achieved including 7-2 victories over both Caernarfon and Horwich RMI. In November a very under strength side due to a ‘flu virus played Hartlepool off the park in an FA Cup tie at the Moss Rose but unfortunately the visitors were victorious 2-1. Having led the table for many weeks, the team started a downward slide with defeat after defeat resulting in Neil leaving club on amicable terms in February 1986 after a 5-1 defeat against Morecambe to join Newcastle Town. A winger brought to Macclesfield from Ashton United principally to play in the newly-formed Reserve team who only made a handful appearances for the senior side. Peter was a quick player with the ability to make pin-point crosses. On leaving Macclesfield Peter signed for Winsford United. His youth career began at Leicester City where he played in their U18 side early in 2007 moving to Swansea City in July 2007 featuring in their Under 18 and Under 21 sides. He signed his first professional contract with Swansea City in 2009 but did not make any appearances for the senior side, however he gained experience on loan at Haverfordwest (August 2009 to May 2010) and Forest Green Rovers (August to October 2010). Moving to Redditch in July 2011 he again found himself out on loan again, on this occasion at Brackley Town (July to September 2011) before signing for Bedford Town in September 2012 where he made 28 league appearances scoring two goals. At the end of March 2013 he signed for Kidderminster Harriers where he made 61 league appearances with a short loan spell at Worcester City (January to February 2014). A move to Dover Athletic in July 2015 saw him remain there for two seasons making 80 appearances scoring five goals in all competitions and gain a winners’ medal in the Kent Senior Cup, after which he moved to Cheltenham Town in July 2017 where he made 49 appearances scoring three goals in all competitions in the 2017-18 season. Having been released by Cheltenham Town the 27 year old, 6ft 4in tall, defender signed a one-year deal with Macclesfield Town in June 2018, as newly appointed manager Mark Yates’ first signing. Another player who started his playing career in the non-League scene, but at the age of 20 signed for Plymouth Argyll from Porthleven in August 1998, moving to Torquay United in the summer of 2002 where he scored 26 goals in 100 appearances in all competitions. In December 2004 he made the move to Grimsby Town and then onto Lincoln City in December 2006. During the 2006-07 season he spent some time at Mansfield Town before being released by Lincoln in the summer of 2007 when he signed a two-year deal with the Silkmen. Martin scored on his debut within minutes of his introduction from the substitutes’ bench, and went on to feature regularly in the starting line-up in the first half of the 2007-08 season. In the second half, he was troubled by injury which severely restricted his appearances, although he completed the season as second top-scorer. A good target man who can hold the ball up well and is equally proficient defending set pieces, Martin scored five goals in six matches in November/December 2008 but left the Silkmen for Chesterfield in the 2009 January transfer window to take advantage of a two and a half year contract. At the beginning of the 2010-11 season Martin went on loan to Torquay United for six months and on his return to Chesterfield he left when his contract was terminated by mutual consent at the end of January 2011. Martin then spent the last few weeks of the season at Yeovil Town but moved to Stockport County in the summer of 2011 and Truro Town in the summer of 2012 on a non-contract basis. On leaving Truro Town Martin retired from playing football when he moved to London where he works in sports Public Relations. In addition, he has media connections featuring on BBC Radio Devon covering teams from the West Country when they appear in London, is involved in a podcast called 'Whistle Blowers: The Football Podcast' and 'The 72' on TalkSPORT2. Before signing for Macclesfield played for Northwich Vics and Witton Albion. Featured regularly in the early months of the season and scored several goals including three in the FA Cup. Once Reginald Ward was signed, Gunn lost his place but played in the reserve side, however, his contract was cancelled in February 1935 when he returned to Witton Albion and then Nantwich Town. Also made an appearance for Macclesfield's 1939-40 war-time team. Became an accomplished cricketer as wicketkeeper for Northwich Cricket Club in the Manchester Association. Died: Vale Royal, Cheshire January 1965. Bill was a popular personality starting his career with the Metroshaft Works team before moving to Wolverhampton Wanderers where he featured mainly in the reserve side making the occasional senior appearance. Unable to break into the Wolves team he moved to Walsall in November 1954 where he remained for eight years making over 200 appearances, often as captain. A cartilage injury forced his retirement as professional player in 1962 when he moved to the semi-professional game at Macclesfield. Described a good, strong defender who was a whole hearted player, Bill must have recovered from his cartilage injury as he appeared regularly for the Silkmen. Was Sportsman of the Year for the 1962-63 season. On leaving Macclesfield he moved to Stourbridge. He was also a youth coach at Walsall and managed Darleston. Bill died aged 82 on 6 April 2013. #Known appearances and goals. Due to the style of reporting there is no information for teams/goal scorers for some matches and in other cases it has only been possible to extract part teams from match reports. In addition, some matches over the Christmas and Easter holiday periods, together with end of season matches, have not been reported.